A solid tenant roster includes many small and growing companies who utilize the Park for office space, light assembly and manufacturing, laboratory, bio-tech and R&D operations, distribution and storage facilities. Stratford Land Development Company Limited Partnership is a privately owned commercial real estate development company that began in 1951 as The Rykar Trading Corporation. The present company, formed in 1986, is known as Stratford Development Company (SDC). During the 1950's, The Rykar Trading Corporation owned more than 700 acres of land, much of which was used for farming. 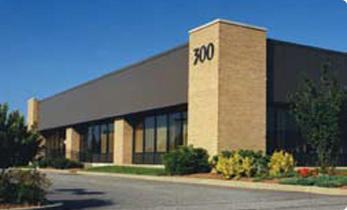 Over the next 20 years, the company developed 560,000 sf of industrial properties, primarily single-tenant facilities. These were eventually sold. In the 1980's, SDC and its affiliate, Stratford Executive Park, Inc. (SEPI), designed, built and leased three separate buildings totaling 137,000 sf of single-story, high-tech flex space. These served as incubators, allowing small to medium-sized companies - each of which required a unique combination of office, light assembly, laboratory, distribution and storage space - to grow and expand. The success of these incubators enabled SDC to build an additional 63,000 sf and purchase an adjacent 87,000 sf facility. In the 1990s, SDC - an environmentally conscious company - continued its 20-year effort to work with local, state and federal agencies to obtain development permits for its remaining 516 acres of undeveloped land. In 1999, development was permitted on what are now the 42-acre East and 34-acre West Campuses bordering the refuge. Soon after these approvals, SDC established a Planned Economic Development (PED) zone on each campus with the Town of Stratford. By 2000, SDC transferred 440 acres of undeveloped land to the Department of the Interior, creating the Great Meadows Marsh division of the Stewart B. McKinney National Wildlife Refuge, and constructed a 55,000 sf, high-ceiling facility at 350 Long Beach Boulevard. In 2001, SDC constructed its first facility on the West Campus, 600 Long Beach Boulevard. Within six months, this 78,900 sf, high-ceiling facility was 95% occupied. By 2006, SDC restored 42 acres of land to tidal wetlands, creating water frontage adjacent to each Campus. Along with SEPI, they completed construction of Building 2 at 500 Long Beach Boulevard on the West Campus. In 2007, Building 4 at 650 Long Beach Boulevard was constructed and fully leased. In 2010, SDC and SEPI began construction of 550 Long Beach Boulevard which completed the 34 acre 428,000 square foot West Campus development in August 2011. In 2015, the 42-acre East Campus land was subdivided into 3 Lots. Lot 1 was sold and a 225,000 sf distribution facility was built for Fed Ex Ground. The remaining East Campus lots still owned by Stratford Development of 12 and 2.3 acres on the East Campus are available for development. In 2016, all four properties on the West Campus were sold to Exeter Property Group allowing SDC and SEPI to focus on bringing more new development to Stratford. 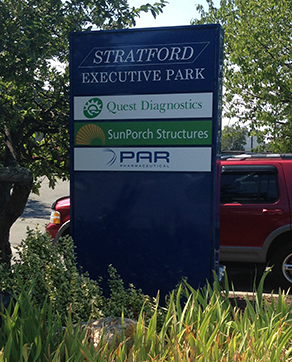 As of March 2017, SDC and SEPI still manage 180,000 sf commercial properties in the Lordship Boulevard area of Stratford, Connecticut and have approximately 32 acres suitable for 500,000 sf of new facilities.